Sixth year Jubal member Marcel Z. submitted this photo and caption. Here is the 2010 Jubal tuba line. 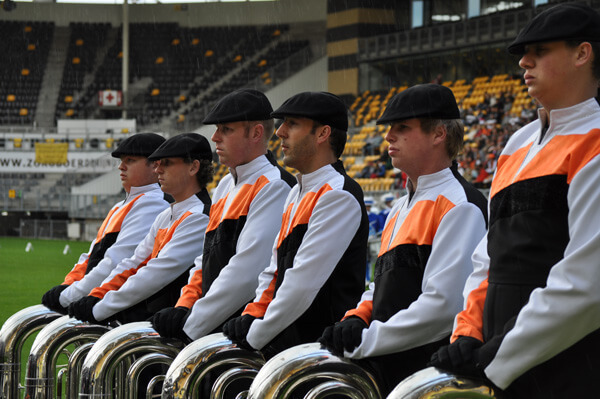 This photo was taken before Drum Corps Europe Prelims in the Netherlands, where Jubal tried to defend its championship. It was time to focus because the corps before us was still performing on the field.